The auto mechanics at Midwest Autoworx are the trusted source for Porsche service and repair in Boonville and Columbia. For over 30 years, our auto repair shops, located in both Boonville and Columbia, have provided efficient and effective service to families throughout the region. You can count on us to take care of you, your passengers, and your Porsche. Your Porsche is engineered for excellence, and it deserves service to match. Our auto mechanics at Midwest Autoworx are experts in the service and repair of these exquisite cars. With a combination of both experience and education, our master-level technicians will, using the latest and greatest tools and technology, will comprehensively examine your Porsche. If an issue arises, we will contact you, informing you about the situation and deciding on the best course of action together. We will take pictures or show you the worn or damaged part. “I've been going to Midwest Autoworx for a few years and I've never had a bad experience. James and his staff are the most honest and upfront shop I've found. They do great work at a great price.” -- Jackson L.
At Midwest Autoworx, we don’t just want you in and out and on your way. We intend to be your go-to auto repair shop for as long as your vehicle is on the road in Boonville and Columbia, and with us on your side, we think that will be for quite a long time. 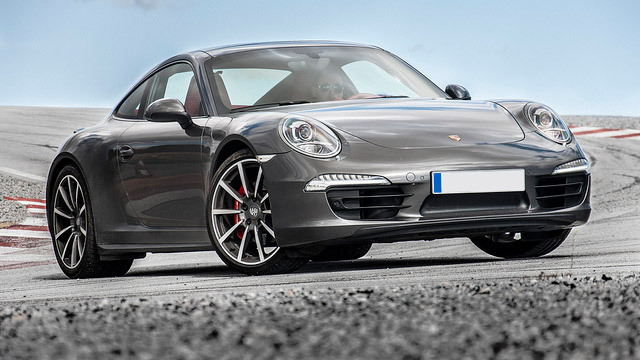 Our auto mechanics can service and repair all makes and models of vehicles, and your Porsche is no different. We are located at 2001 Rangeline Street in Columbia, MO 65202 and 1300 W. Ashley Road in Boonville, MO 65233. Call Midwest Autoworx to learn more about service for your Porsche or schedule an appointment online.